City and Country School is world-renowned for our progressive approach to education. We host scores of educators and visitors every year, implement block-building workshops, present at conferences, and through our website and print publications strive to articulate the how, why and what of our purposeful, time-honed and much emulated programs. 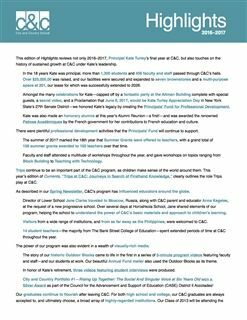 Below you can find a sample of some recent writings on our program, news from the School and yearly overviews. 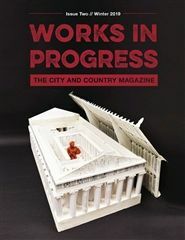 Please be in touch with Matthew Payne in Communications at matthewp@cityandcountry.org for more information about our publications. 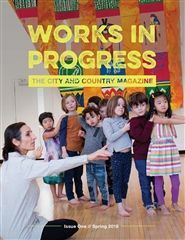 Works in Progress is City and Country's annual magazine that focuses on our program and community, and the constant evolution of the individuals and groups within the School. The following publications have been discontinued, but are still rich with valuable information about the school. 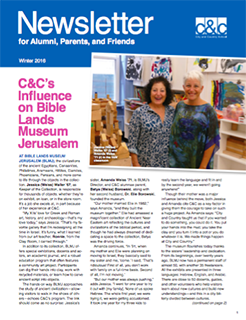 The latest C&C News, Alumni Updates, and reflections on program can be found in our current publication, Works in Progress, which can be viewed above. 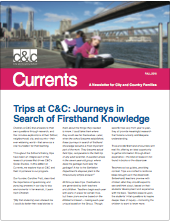 A newsletter for families that discusses C&C program and philosophy in detail. 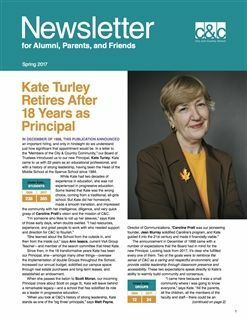 What's new at C&C, events, and alumni news. Links to the two latest editions are below—you can find all editions of the Alumni Newsletter here. A glimpse of the whole school year in a quick read.